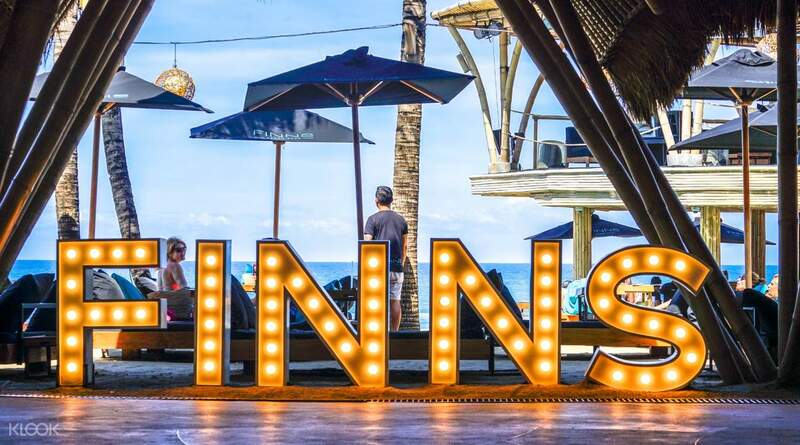 Get your own exclusive pass to enjoy a variety of entertainment and recreational sports in Finns Bali! Great beach club and very accommodating staff! Will definitely come back! 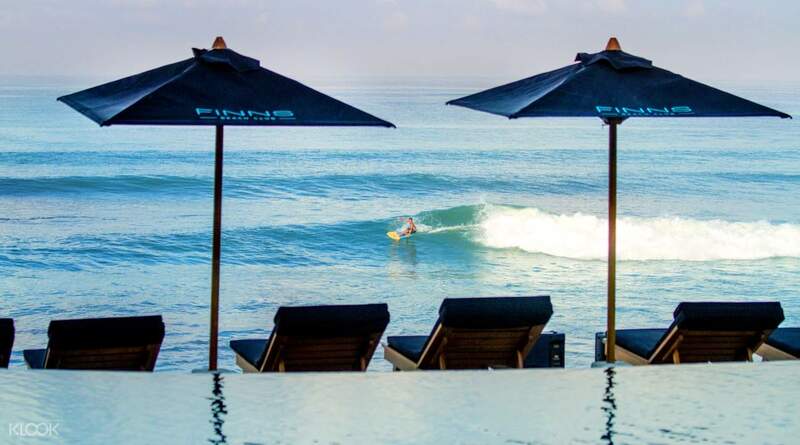 Eager for more staycation in Bali? Satiate your desire for relaxation and leisure in the area's leading entertainment and sporting venue. With this day pass, you can enjoy unlimited access to modern facilities and experience world-class amenities, including Splash Water Park, Finns Beach Club, sports ground, and an infinity edge pool embellished with a luxurious pool bar and underwater speakers. 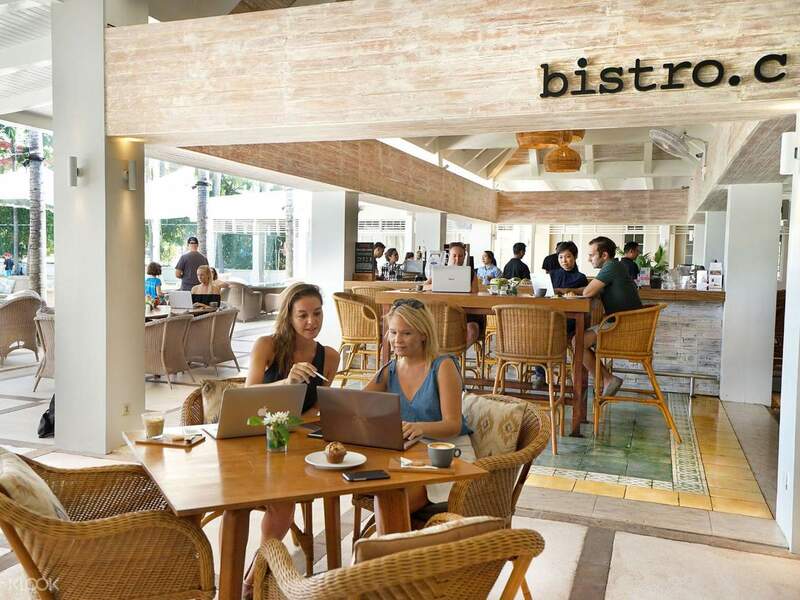 Whether you're staying with your family or friends, Finns Bali has everything you can ask for! 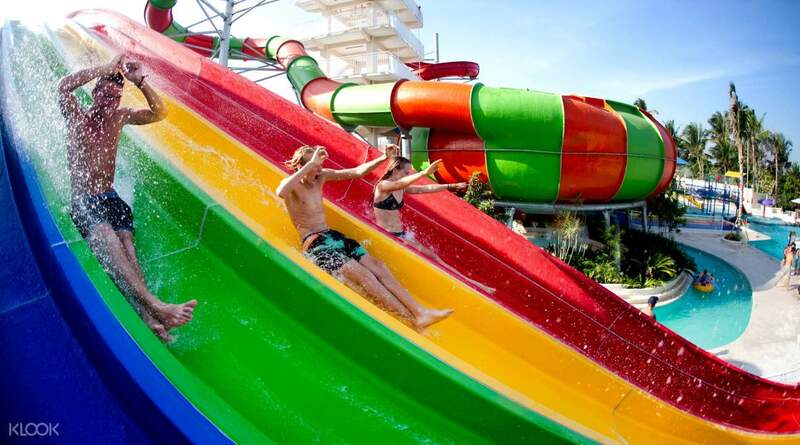 Give in to your adrenaline cravings with towering, speeding waterslides at the Splash Water Park, the island's newest thrill-seeking outfit, or if you're in for some quality relaxation, the Finns Beach Club will help you find the ultimate respite as soon as you land in the magnificent beachfront of Berawa. 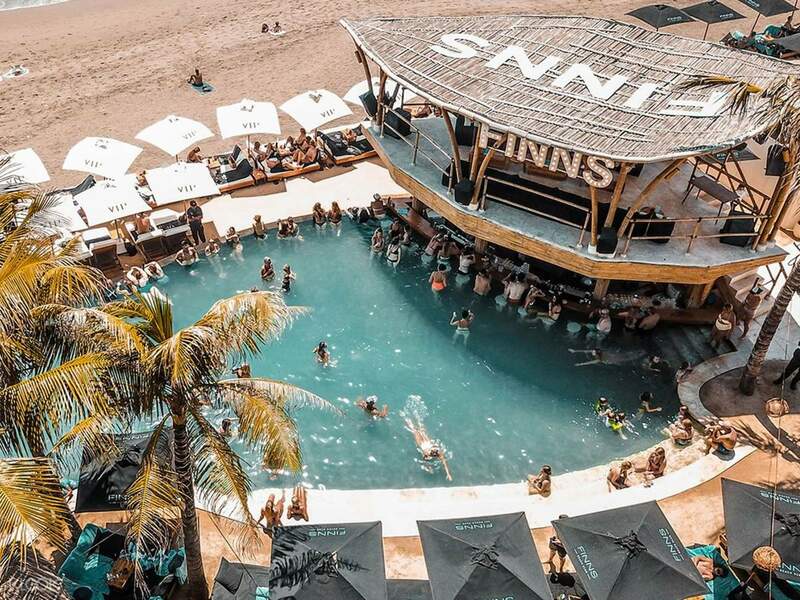 The Finns Bali Day Pass also lets you in on exclusive, state-of-the-art amenities such as Fitness Center, Tennis Center, Sports Bar, and more. Book now and upgrade your Bali vacation extravagant at a great value through the Klook website! Experience luxurious relaxation and leisure in Bali with your very own Finns Bali Day Pass! If you are travelling alone its best that you buy this as you can get a day bed without minimum spending! If you are travelling alone its best that you buy this as you can get a day bed without minimum spending! Finns beach club has a wonderful view and is great for those that love a party vibe. Service is ok and the food is delicious but pricey. I personally would only recommend this day pass to families wanting to use the recreation gym or slides as it works out cheaper to not pre book for the beach club and day beds are first come not reserved. We had a massage at the day spa which was amazing but again pricey even with vouchers. We were going to try pen pin bowling but it smelt really bad inside so left. So this pass is really only for people wanting to do water park and gym as it works out free if you are buying drinks or food at Finns Beach Club so no need to pre book there. Finns beach club has a wonderful view and is great for those that love a party vibe. Service is ok and the food is delicious but pricey. I personally would only recommend this day pass to families wanting to use the recreation gym or slides as it works out cheaper to not pre book for the beach club and day beds are first come not reserved. We had a massage at the day spa which was amazing but again pricey even with vouchers. We were going to try pen pin bowling but it smelt really bad inside so left. So this pass is really only for people wanting to do water park and gym as it works out free if you are buying drinks or food at Finns Beach Club so no need to pre book there. nice view for sunset.. the price is worth it which you dont have to have a minimum spending.. nice view for sunset.. the price is worth it which you dont have to have a minimum spending.. The beach club itself was really crowded! We were offered some day beds at a corner with no view - a bummer itself. So we didn’t want to stick around and went to the recreation club instead. The gym was very well-equipped, so thumbs up for that! The water park and pool were great as well! Not too crowded for your peace of enjoyment. However if you are looking at just using the gym and pool versus the price of the pass, it would not be very worth it. Had their smoothie bowl from the bistro outside the gym, was fantastic! The beach club itself was really crowded! We were offered some day beds at a corner with no view - a bummer itself. So we didn’t want to stick around and went to the recreation club instead. The gym was very well-equipped, so thumbs up for that! The water park and pool were great as well! Not too crowded for your peace of enjoyment. However if you are looking at just using the gym and pool versus the price of the pass, it would not be very worth it. Had their smoothie bowl from the bistro outside the gym, was fantastic! you will really enjoy your full day pass with a lot if recreational option to choose from. you will really enjoy your full day pass with a lot if recreational option to choose from. Great beach club and very accommodating staff! Will definitely come back! Great beach club and very accommodating staff! Will definitely come back! Had a great time visiting the place.Would love to visit the place again soon. Had a great time visiting the place.Would love to visit the place again soon. 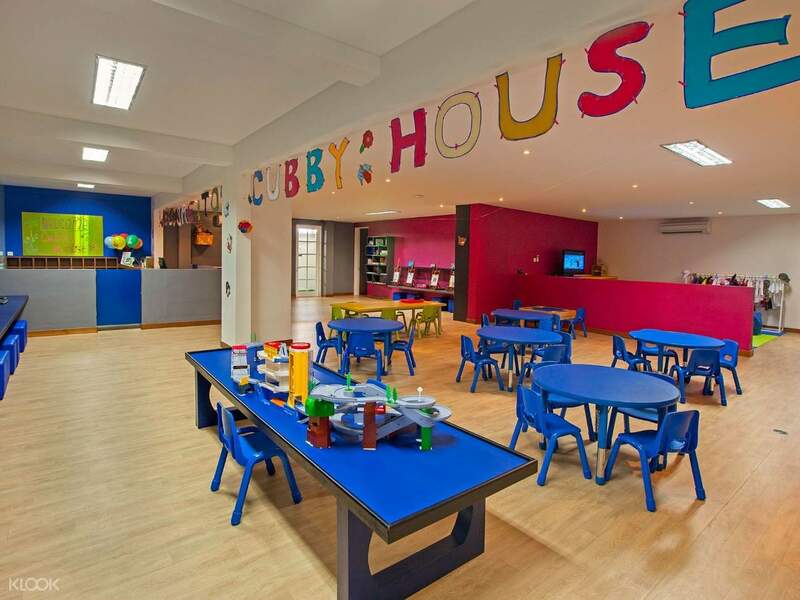 Check in was seamless and all stated facilities can be easily accessed. Slides are not at the main beach club but shuttle is provided. Check in was seamless and all stated facilities can be easily accessed. Slides are not at the main beach club but shuttle is provided.